Why choose JSI Timber Frame? We have procedures in place, to ensure that from ordering, to completion of your timber frame, runs efficiently. Qualified, competent, friendly staff with knowledge of our product, coupled with more than 10 years timber frame erecting experience. We take pride in our product and service. We ensure that we will supply a quality product manufactured & installed accurately and efficiently. Nathen, We are writing to thank you for your involvement in our house extension, we were very impressed with the efficiency and speed that you completed the timber frame (you even worked on in the pouring rain when other builders disappeared ! ) The quality of the workmanship was excellent and we appreciated your knowledge and experience. We had looked at several companies and your quote and that you were based locally, helped us to decide. We are very pleased and would definitely recommend JSI Timber Frame. good luck for the future. Timber frames are precision engineered, remarkably strong and durable. 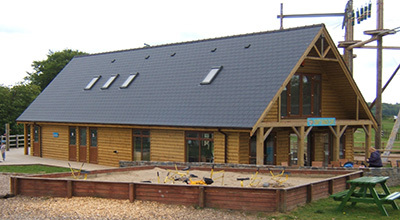 9 out of 10 “self builders” choose timber frame, because no other building method is as versatile & cost effective.